You always done a good job for me! The Christmas shop window display shelves have arrived. After installing, we will send you pictures. Many thanks. Thanks for your rack. My sport equipment warehouse looks orderly now. And I am planing to do a showroom for sport goods. Help me to design it later. 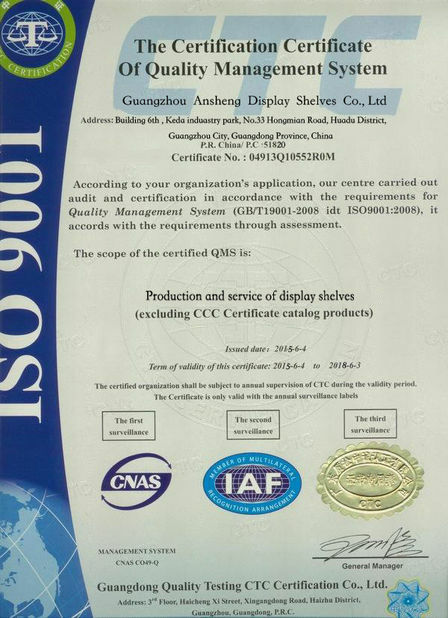 China Good Quality Shop Display Shelving Supplier. Copyright © 2018 - 2019 shopdisplayshelving.com. All Rights Reserved.